So what's in the chapters of the Guerin Report that led to Alan Shatter resigning? The Guerin report notes that Alan Shatter did what Garda Commissioner Martin Callinan sugested, “without that advice being questioned or analysed”. IN HIS RESIGNATION letter on Wednesday, Alan Shatter said that he had only read three chapters of the Guerin Report, plus the covering letter by Seán Guerin, when he decided to resign. “As you know, the Report runs to over 300 pages and I have neither had the time to fully read or fully consider the contents of the Report,” he wrote in his letter to Taoiseach Enda Kenny. He told the Taoiseach that as well as the cover letter, he had read chapters 1, 19 and 20. The report was published just before 1pm today. Chapter 20 is all about the conclusions and recommendations, which you can read about here, but here’s what’s in the other chapters that Alan Shatter read before he resigned. The findings show why the Minister for Justice had to resign. Seán Guerin explains that the Minister had a statutory responsibility to act once Maurice McCabe had brought his complaints to the Confidential Recipient, but he never did. Guerin also says that in the absence of any documentary evidence, it appears that Alan Shatter did what he did on foot of advice from then-Garda Commissioner Martin Callinan, without the advice being questioned or analysed. Seán Guerin, the senior lawyer appointed by the Cabinet to carry out the report into the allegations by Sergeant Maurice McCabe, wrote a brief two-page letter contained at the front of his report. The letter is straightforward. Guerin says he regrets that the report was not completed within the original time period – it was supposed to be completed before Easter – but says there was a large volume of material involved. He says that he did not receive any documentation from the Garda Síochána Ombudsman Commission (GSOC), which he describes as “somewhat unsatisfactory”. He notes that GSOC has indicated through its lawyers that it has “voluminous” documentation available, but was unwilling to release it without certain safeguards being put in place. Guerin says that some of the issues raised in the report are currently the subject of ongoing proceedings involving the State, which, he says, bring up two issues: the questions of privilege and the sub judice rule, which is when a case is before a court. He says that he has tried to avoid straying into comment on matters that are before the courts but it may have been impossible to do so, particularly in relation to one issue. The first chapter of the 336-page report is an introduction and again, is very straightforward, but with some interesting detail. It notes that the original dossier from Sgt McCabe contained reference to 16 incidents, ten of which dealt with the way that gardaí investigated a crime. Of the remaining six, three concerned internal matters within the garda force, including one case of sexual harassment of a young female garda. Two were allegations of specific misconduct by gardaí, and the final matter was about a report made by Sgt McCabe in early 2008 about garda conduct. The chapter states the terms of reference of the report, which are based on the dossier compiled by Sgt Maurice McCabe and given to the Taoiseach on 19 February this year alleging “grave deficiencies in the investigation and prosecution of crimes in the county of Cavan and elsewhere”. It notes that Guerin was tasked with interviewing Sgt McCabe and anyone else considered “necessary and capable” of helping with the report, as well as examining all documents held by An Garda Síochána, the Department of Justice, and any other public body which may have been involved. It specifically notes that Guerin was asked to “review the adequacy of any investigation” by the gardaí into the allegations in the dossier, and to see if they did their job properly. It says that as a result of the report it will be decided whether it is in the public interest for the Government to set up a Commission of Investigation and if so, what matters should be investigated. Guerin explains how he went about carrying out his report, including writing to several bodies involved – including the Garda Commissioner and the Minister for Justice – asking for any relevant documents. he thanks all the groups for cooperating with him – except for GSOC. Despite originally saying that they were putting together relevant material, and it would be forwarded shortly, Guerin then received a legal letter from Arthur Cox Solicitors raising legal and practical issues which, Guerin notes, “might usefully have been raised at an earlier stage”. I do not understand why the obstacles to my seeing them were first identified to me in correspondence delivered shortly before close of business on the eve of the date upon which my report was due. When it came to Sgt McCabe, Seán Guerin sys that he interviewed him for a total of almost 19 hours spread across three days. He says Sgt McCabe cooperated fully. Chapter 19 of the report is titled “Role of the Department of Justice and Equality” and is 31 pages long. It begins not with Alan Shatter but with the previous Minister for Justice – Fianna Fáil TD Dermot Ahern. The report says that Sgt McCabe emailed the then-Minister on 23 March 2009 about malpractice and corruption in Bailieboro Garda District in Cavan/Monaghan. In the email, Sgt McCabe was critical of comments on the front page of The Anglo Celt newspaper attributed to the Chief Superintendent for the area, Colm Rooney, in which he dismissed any hint of issues in Bailieboro. McCabe said it was appalling that the Chief Superintendent would say that in public while the investigation was ongoing. He said it was “Donegal all over again”. He asked the Minister for an independent inquiry into the investigation. The Minister believes that in the circumstances, the most appropriate action for now is to allow the Commissioner to complete his work and let due process take its course. The matter was not taken any further at that time. Nineteen months later, on 11 October 2010, Sgt McCabe made a complaint to the Confidential Recipient, whose job was to receive and process garda complaints about irregularities within the force. Exactly one month later, the Confidential Recipient notified the Minister that he had given a report to the Garda Commissioner – who at the time was Fachtna Murphy – about allegations made against an Assistant Commissioner, Derek Byrne, by a garda. The Commissioner was given a copy of the letter, and the Minister’s private secretary acknowledged that it would be brought to his attention. In April 2011, Lorraine McCabe, the wife of Sgt Maurice McCabe, made a complaint to the new Minister for Justice Alan Shatter about the conduct of certain gardaí in Mayo. She said that her husband had reported similar “and worse” conduct by gardaí in Cavan three years earlier, and included some details of the complaints he had made, noting that “all matters were covered up”. She referred in particular to what had happened between Sergeant McCabe and Assistant Commissioner Byrne when they met in October 2010. She stated that she wished to make a formal complaint against Assistant Comissioner Byrne. She referred to what she described as the “hurt, stress, annoyance, severe damage and sheer hell on our family and our family life”. She said that wrong doing had been covered up and hidden. She also said they had received a death threat from a garda but hadn’t reported it for fear of repercussions. she asked for the Minister’s help. Alan Shatter’s private secretary wrote back days letter, giving the contact details of GSOC and advising how a complaint might be made. It also says that given the seriousness of the allegation of the death threat, the Garda Commissioner was being informed. I had asked the Minister and your office for some help and received none at all.I did expect someone from your office to make contact with me and this has not happened. You acknowledge that the allegation is extremely serious? Alan Shatter’s private secretary wrote back the next day – 6 May 2011 – saying that it would be brought to the Minister’s attention. One month later, Sgt McCabe’s solicitors wrote to the Minister asking for a Commission of Investigation to be set up, based on his allegations of serious malpractice, wrongdoing, and gross dereliction of duty in the Bailieboro District. …has lost all faith in An Garda Síochána to properly investigate matters about which he complains and which are obviously of huge public concern. Guerin notes that there does not seem to have been a reply to that solicitors letter, even though “the copy I have seen bears a stamp from the Minister’s office dated 17 June 2011″. The solicitors again wrote to Alan Shatter on 9 August 2011 about a letter from the Chief Superintendent garda of Cavan/Monaghan on Sgt McCabe’s allegations, which was sent to all district offices in the area. They asked Shatter to write back immediately. The letter, which is the subject of legal proceedings, said that the investigation into the allegations had found there were no system failures in Bailieboro Garda District, noting that some “minor procedural issues” were identified. The letter congratulated members who served in Bailieboro and said that “the high standards and professionalism of the District force in Bailieboro” had been vindicated. Within days, the Minister’s private secretary wrong back saying that the issue was being investigated by the gardaí and GSOC and it would be inappropriate for the Minister to intervene. Guerin notes that he does not know what was meant by the reference to a complaint of Sgt McCabe’s being investigated by GSOC. “I am not aware of any such investigation and… it seems unlikely that there was any such investigation,” he writes. In January 2012, Oliver Connolly, the Confidential Recipient, sent the Minister for Justice a confidential report about a complaint against Garda Commissioner Martin Callinan by a member of the force whose identity was redacted. The issues in the report dealt with Jerry McGrath, the alleged alteration of official Garda records to hide malpractice, and sexual harassment of a female garda, among other things. The report said that the reporter was very fearful of revenge and harassment against himself and his family. The anonymous garda said the incidents had been investigated by Assistant Commissiner Byrne, who upheld the serious ones, but decided that the complaints against a Superintendent were not substantiated. “I find it hard to understand that the Commissioner of An Garda Síochána has rewarded Superintendent Foxtrot and place him on a promotion list for the rank of Chief Superintendent. The garda said Commissioner Callinan should have known of the malpractice and shouldn’t have placed the superintendent on a promotion list, while Assistant Commissioner Byrne had failed to uncover and report serious derelictions of duty. Garda regulations say that when the Minister receives a confidential report of this kind, unless he has reason to believe that the allegation is fake or frivolous, should make sure the allegation is investigated. The report was also sent to the Secretary General of the Department of Justice, Brian Purcell, in January 2012. The Garda Commissioner was asked for his comments as soon as possible before the Minister decided what to do, and he wrote back on 27 January 2012. In his letter, he said that while he did not know the identity of the anonymous garda, it sounded similar to Sgt McCabe’s allegations which he said had already been investigated. Martin Callinan’s letter then set out a history of the complaints made by Sgt McCabe, who, Callinan wrote, had “exposed his position as the confidential reporter”. He dismissed the allegations, saying that the cases had been investigated and resolved. “Any question of the Garda Commissioner having a case to answer arises only in the event that the Superintendent has been found to have committed the alleged malpractices”. 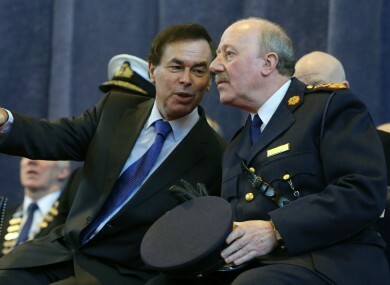 Alan Shatter also said that the Garda Commissioner had advised him that no evidence was found of any wrongdoing by the named Superintendent, or Assistant Commissioner Byrne. “On the basis of these findings, there is no evidence to support any further action by me in relation to the allegation made in the confidential report against the Garda Commissioner”. Seán Guerin notes that this letter is the minister’s decision on the complaint submitted to him by the Confidential Recipient. He notes that he has not seen any memorandum or documents whatsoever that show that the Minister’s decision’s, or notes from his staff to ensure he carried out his function under garda regulations to investigate. On 12 May 2012, Sgt McCabe wrote to the Confidential Recipient again, complaining that the way the Minister had gone to the Commissioner to ask him to account on his own complaint was “alarming”. He said that his legal team had never been informed that the investigation had been completed and that a number of serious matters were still ongoing. Crucially, McCabe said that the Minister had acted in an inappropriate way and that it was wrong of him to request a report from the persons that Sergeant McCabe had complained about. He said it defied logic and was not fair or in keeping with natural justice and fair procedures, and that the Minister was “being fed false and misleading information”. Once again, in September 2012, Maurice McCabe’s solicitors wrote to Minister Shatter saying that he had not given proper consideration to the law in holding an investigation into the allegations. The letter included three booklets of documents provided by McCabe relating to malpractice and corruption among gardaí in the Cavan/Monaghan division. In other words, having apparently exhausted the possibilities of the confidential reporting scheme, Sergeant McCabe’s solicitors were now revisiting the question of a statutory investigation. This time, the Department of Justice actually prepared a submission. However the only course of action suggested was not an inquiry, but the suggestion that the three booklets should be referred to the Garda Commissioner. That didn’t happen. Instead, a letter from the Department said that as the Minister had been asked to establish a special inquiry under Section 42 of the Garda Síochána Act 2005, he would have to take into account the observations of the Garda Commissioner. The Department sent another letter in November 2012 asking for a response, and again on January 2013. In the meantime however, Sgt McCabe emailed Minister Shatter on 12 December 2012 about the Minister’s comments about “ticket fixing” issues, saying that his serious complaints had never been investigated. He received a response saying, once again, that the issues had already been investigated and that no evidence of corruption or malpractice had been discovered. These comment mirror the contents of the Commissioner’s letter from January 2012. Sgt McCabe’s solicitors wrote to the Minister again saying that their client had no faith in the internal garda investigations and that he had not been contacted by any investigator from the force, which was “most unusual” when he was the one who had brought the information to the attention of the authorities. They requested a meeting with the Minister. There was some back and forth between the solicitors and the Minister’s office over several issues across the following months. The office repeatedly asked for permission for the three Bailieboro booklets to be forwarded to the Garda Commissioner for their views. It was around that time that something substantive happened: The Assistant Secretary of the Department of Justice, Michael Flahive, wrote up an email with a chronology of the correspondence between the Department and McCabe, as well as a summary of the three booklets. This happened while there was something of an impasse in the correspondence between both sides. The minister had not refused to exercise his power to establish a special inquiry, but had sought agreement to send the booklets to the Garda Commissioner as a preliminary step. Meanwhile, Sgt McCabe’s had not objected to this, but had not consented either – and had clearly signalled that they didn’t have confidence in an internal garda investigation. It was at this time that the Attorney General became involved. Guerin notes that he doesn’t have a copy of any letter seeking advice, but he does have the letter that the AG, Máire Whelan, sent to the Minister advising him. The advice is about the three booklets of allegations sent to Alan Shatter by Maurice McCabe’s solicitors. The Attorney General said that two of the booklets should be forwarded to the Minister, while the third should be returned to Sgt McCabe’s solicitors. It is unclear whether or not they were ultimately forwarded to the Garda Commissioner. In his analysis, Guerin is damning of Minister for Justice Alan Shatter. He says that the Minister was invited to use two statutory functions to set up an independent inquiry into issues which he had received complaints about. The allegations, which were made in 2011 and 2011, included an allegation of misconduct by the Commissioner, about the conduct of the existing internal garda investigation, and an assertion of a loss of confidence in such an internal investigation. Guerin also notes that the initial response of the Commissioner in January 2012 was “almost entirely lacking” in any detailed account of the substance of the allegations or the conduct and findings of the internal investigation. Guerin says that it was not clear what decision Alan Shatter made about how to proceed with the allegations and whether they warranted an investigation. “In effect, the process of determining Sergeant McCabe’s complaints went no further than the Minister receiving and acting upon the advice of the person who was the subject of the complaint,” Guerin writes. “Indeed, in all the papers furnished by the Department, I can find no evidence of any detailed assessment within the Department of any of the allegations made by Sergeant McCabe or of the responses received from the Commissioner”. Guerin notes that there is a “near-total absence” of written records of advice given to the Minister by his officials, particularly about exercising his specific statutory functions. Similarly, there are no written internal records of decisions made by the Minister. “As a result, this review is unable to shed any light on the reasons for the approach adopted by the Minister to the exercise of those functions. “For whatever reason, the approach had the result that there was no independent investigation of Sergeant McCabe’s complaints. “The absence of the records that one would expect of a careful and reasoned exercise of an important statutory function is a matter of some concern. In an important sentence, Guerin notes that it appears that the Minister acted as he did on foot of advice received from the Commissioner, “without that advice being questioned or analysed”. In all the circumstances, I am of the opinion that there is cause for concern as to the adequacy of the investigation of the complaints made by Sergeant McCabe to the Minister for Justice and Equality and a sufficient basis for concern as to whether all appropriate steps were taken by the Minister for Justice and Equality to investigate and address the specified complaints. Email “So what's in the chapters of the Guerin Report that led to Alan Shatter resigning? ”. Feedback on “So what's in the chapters of the Guerin Report that led to Alan Shatter resigning? ”.